Leverage competitive advantage by having us compile vast amounts of customized source information and deliver the analysis to you directly. Enjoy the capability of running multiple scenarios for various regions and locations without the time consuming work of data acquisition and scenario modeling. Review advanced analytics for any node or spread in seconds. The core benefit of ANALYST is its capability to mine our massive database and compile your results immediately. Analyst allows you to perform multiple point to point and DART scenarios in any nodal power market and evaluate the historical results. 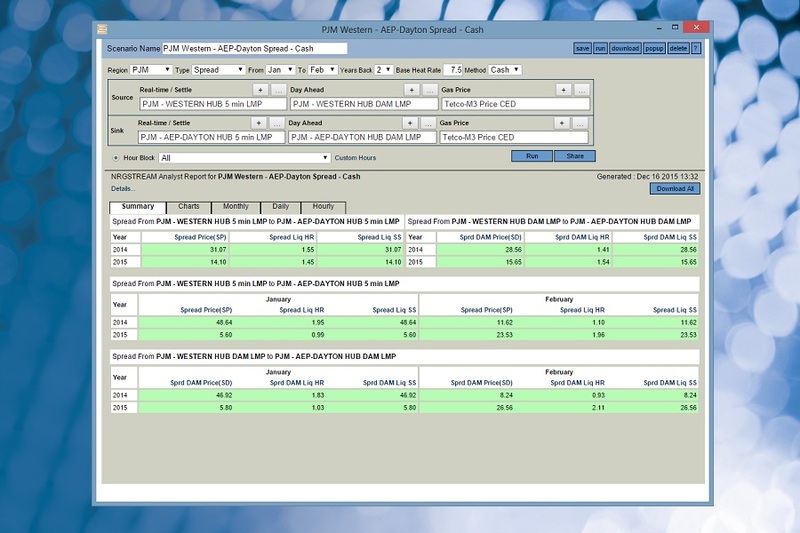 Output from ANALYST includes rollups for various periods with spreads, averages, heat rates and spark spreads.